Hi there! Your NTSE Prep Buddy talks about the MAT (Mental Ability Test) in the NTSE exam. Hey! Were you shying away from NTSE thinking it was difficult? Or did your school not let you sit for the exam? I’ll tell you why you should practice the NTSE MAT questions. Get some popcorns before you read this interesting article, you are going to enjoy it. Jump right into practice. 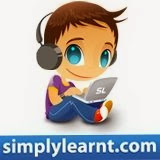 Take a book or practice on simplylearnt.com and start solving. Some of the questions may seem easy and some require a lot of thinking. I am going to give you some tricks to solve the Mental Ability Questions in several such articles.